When Mrs RA Mundie departed this life on Dec 4 1931, at Charlottesville, Va, one of the choicest spirits it has ever been my privilege to know returned unto God who gave it. 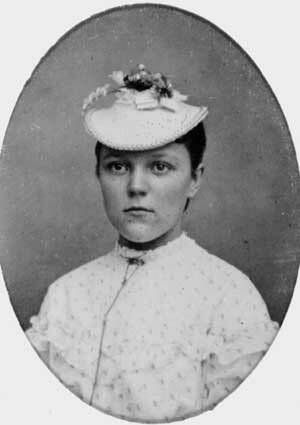 She was born in Richmond, Va 25 Jun 1855, of the late Col J A Clarkson and Annie M Anderson of Baltimore. Her early life was spent in Baltimore, where she received her education. Reared in a splendid Christian home, accustomed to the finest sort of cultural and and spiritual influences, it is no wonder that she developed a soul peculiarly sensitive to God and a mind and heart in complete accord with the Divine Will. I first became acquainted with Sister Mundie when I began my pastorate at First [Methodist] Church, Charlottesville. At that time she was in good health and was active in all the work of the church. I shall not soon forget what an inspiration I discovered her to be to a young preacher. She was always in her place in the sanctuary, sitting well forward in the auditorium, and as eye caught eye, this preacher was inspired many a time as he stood before a great congregation to break the Bread of Life. Later, when failing health and home responsibilities prevented her from attending church regularly, it became a joyous and most heartening experience to visit with her in the home. She loved her church and her pastor, and all the interests of the Kingdom. Her first love, so far as the work of the church was concerned, was Missions. As President of the Missionary Society of First [Methodist] Church for years, she was its moving spirit. She prayed for missions, she worked for missions, the gave to the point of sacrifice for missions, and then pined because she could do no more. A sweeter, more consecrated Christian I have never known. In failing health, and with an invalid daughter to care for, by whom she is survived, which responsibility confined her to the home entirely during the last years, she was sustained by the unfailing strength of the God she so dearly loved and so devotedly served. Never without a smile and a cheery word, her interest and concern was always for someone else. She is gone, but she is not forgotten, for the influence of her beautiful life and ministry remains as a sweet savor to those who loved her and knew her best. What a joy and privilege to have known her here; the separation is but for a brief time; then will strike hands and hearts again in that ministry and service about the Throne. Probably December 1931; no source is available. The frame of the female portrait has an imprint on the side reading Potter Patent Mar 7, 1865, probably a patent for the frame. This is likely a fairly close dating for the photo. But, the absence of a revenue stamp might suggest that the photo was taken after the Civil War, perhaps in 1867-68. On the reverse of the female photo someone has written Kate C Clarkson. In 1865 Kate C Clarkson was about 10 years of age, but this photo is more suggestive of a young woman at least age 14-18. So, the identity remains in question. To learn more, see Who Is It?